Gerry Wood Auto Group has spent more than 40 years building a trusted reputation by selling and servicing cars in Salisbury, North Carolina. The company had also accumulated an impressive number of reviews over the years, but without enough recent reviews, their online reputation was becoming stale. In the hyper-competitive automotive industry, reputation is everything: 97% of customers read online reviews before purchasing a product or a service, and most consider reviews older than 6 months completely irrelevant. In order to beat competitors online and win new customers, Gerry Wood Auto needed to collect a lot more new reviews. Initially, the company attempted to collect feedback manually by asking customers for a review after a sale or service, but their efforts just weren’t delivering the desired results. Since the sales team was usually busy attending to prospects during the day, it was difficult for them to reach out to existing customers at the right moments. Gerry Wood Auto began searching for solution that would let their sales team request feedback at the right time without interrupting day-to-day tasks. That’s how BirdEye came into the picture. With BirdEye, Gerry Wood Auto was able to automate the whole review generation process. The BirdEye mobile app gave the sales team 24/7 access to the BirdEye dashboard, allowing them to send out feedback collection requests at the perfect moments -- immediately after a sale or service. After a sale or service, Gerry Wood Auto employees just had to upload the customer’s basic contact information and a review request was automatically sent out. Review requests were sent through hyper-targeted email and SMS campaigns. BirdEye’s review monitoring feature let Gerry Wood Auto view and respond to all their reviews from 150+ sites in one place, in real-time. Staying on on top of all customer reviews allowed the company to easily identify unhappy customers and address their problems promptly before they escalated. The deep insights provided by BirdEye’s extensive reports let Gerry Wood Auto track the progress of their review solicitation efforts. 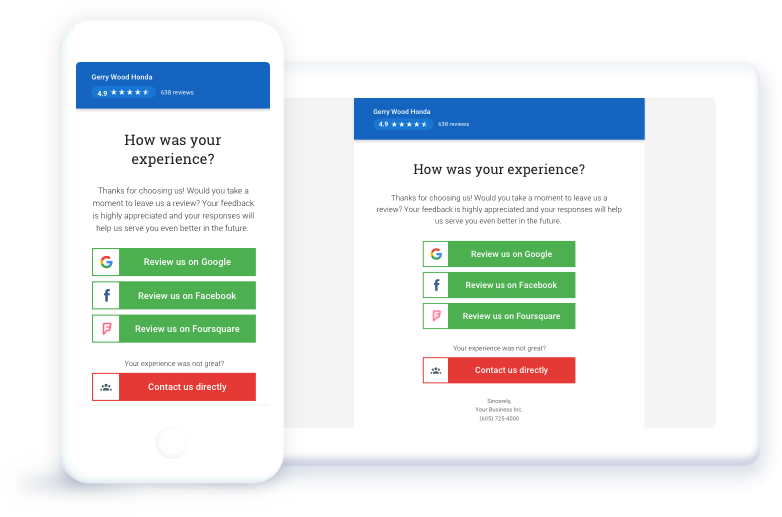 They were able to measure and compare review volume, ratings, and Net Promoter Score (NPS) over time and by location to pinpoint emerging issues and keep customer sentiment high organization-wide. 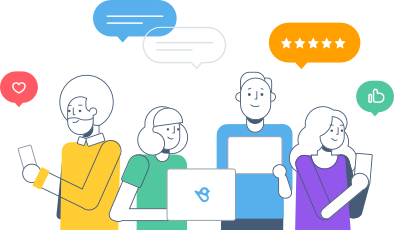 By routinely asking all customers for reviews, Gerry Wood Auto Group increased its overall Google review count by an impressive 108% in just the first 6 months with BirdEye. Within the same time span, the company’s Facebook reviews grew by 43%. Their overall review count across all sites increased by 58%. 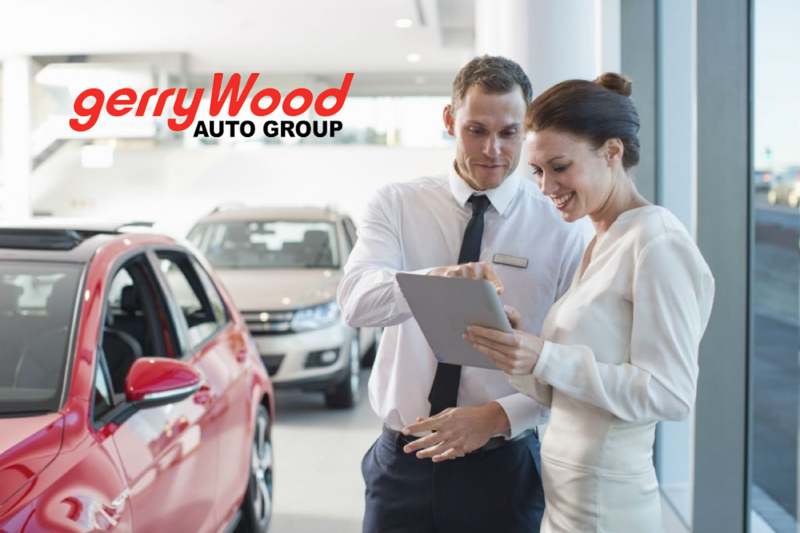 Gerry Wood Auto improved on a dealership level as well, with the top location generating as much as 357% more reviews and thanks to the company's commitment to improving based on feedback, their average rating increased by .4 stars. To maximize the power of customer voices, Gerry Wood Auto Group showcases reviews from their customers on the testimonial section of their official website. This way, whenever prospects search for the most trusted car dealership in Salisbury, North Carolina, it’s clear that Gerry Wood Auto Group is the best choice.